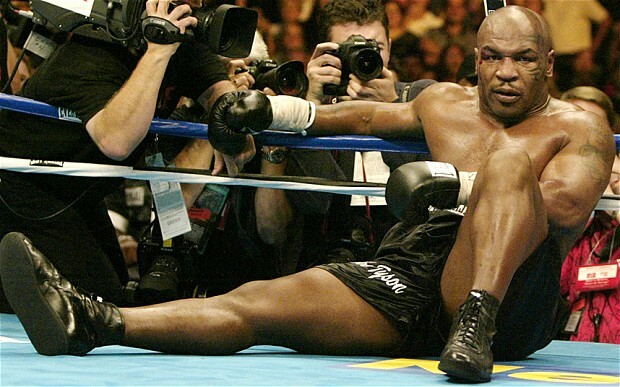 The boxer Mike Tyson is credited with once saying, “Everyone has a plan ‘till they get punched in the mouth.” This is actually a pretty profound statement even considering the source. I’ve written extensively before about resilience after getting knocked down. But let’s take another look at this subject from a different perspective. Simply put – what’s your Plan B? This question can be avoided entirely if we create a contingency plan prior to embarking upon whatever endeavor we are pursuing. Resilience is having the will to keep on keeping on. But to what end? We may have the resolve to never be beaten, but if something hasn’t worked we must be able to try a different way. Suppose we started a business that relies heavily on outside sales and we have a topnotch salesperson that is crushing it. Her sales volume is off the charts and our business has become very profitable. Then the unthinkable happens. Our superstar salesperson decides to leave and start her own business in another field. When we hear the news we are in a panic. Who will we ever find to replace her? How long will it take? Will the next salesperson be as strong and effective? Alternatively, we have already contemplated that this could happen and developed a contingency plan that we implemented the day our key salesperson started. In this case, we consciously chose to build as many relationships as we could with other salespeople in a multitude of industries. Our plan directed us to make a certain number of “touches” every month with talented people who would come to know and respect us – maybe even clamor to come and work for us. Then when our superstar walked out the door we already had a list of well-vetted replacements in our hip pocket. At this point there’s no freak-out. We reach out to the top name(s) on our list and within a short period of time we are able to announce the hiring of a new salesperson. Of course this all sounds very simple and practical. But let me ask this question. How many of us really have a well-designed Plan B for each of the numerous “punches in the mouth” that we could encounter? Better yet, how many of us have actually documented our Plan B’s; work them, and review them periodically? Contingency planning isn’t necessarily pleasant. To have a Plan B may feel like we don’t really believe that our Plan A will work in the first place. Isn’t this the kind of negative thinking that could doom our success? Not at all. The key is that we know the truth – the truth that we will succeed. We may not get to the finish line exactly the way we had anticipated, but we will win the race. Having a contingency plan allows us to plunge ahead in a worry-free manner. We can then concentrate our energy and focus on the steps necessary to the positive results that we desire. This entry was posted in Entrepreneurship and tagged contingency plan, Entrepreneurial Spirit, Entrepreneurs, Entrepreneurship, Plan B, resilience by anentrepreneurswords. Bookmark the permalink. Thanks, Lee, good post. I feel like I’ve been punched in the mouth, not businesswise, but just in life in general. Adjustment has been difficult this past 16 months, but I’m still standing and slowly getting used to my new normal. Hope to see you and Barb again sometime soon.